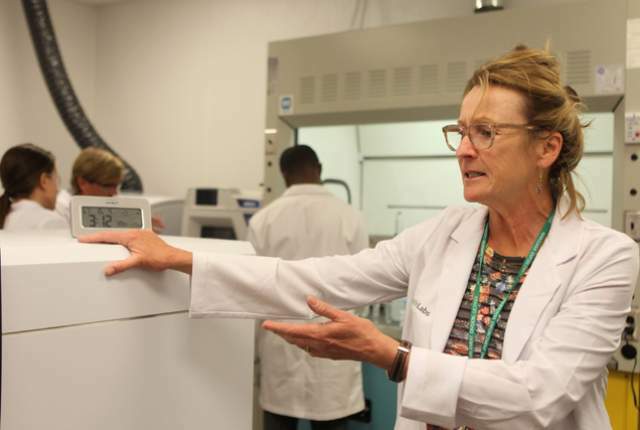 DigiPath Labs very own Dr. Cindy Oser discusses how the rules and regulations of marijuana testing labs are extremely important. Each state seems to be making up rules as they go and it is causing major issues. Check out what is happening in Massachusetts due to the lack of cannabis testing facilities. SEATTLE, WA / ACCESSWIRE / June 9, 2015 / The cannabis industry could reach $35 billion by 2020, according to GreenWave Advisors, if all 50 states legalize marijuana and the federal government ends prohibition. In a less optimistic scenario, the research group still expects revenue to reach about $21 billion assuming 12 states legalize recreational marijuana and 37 legalize medical marijuana. Despite the industry’s enormous size and growth, the legal framework for the industry is patchy and disjointed. In this article, we’ll take a look at various states’ testing standards, and the effects of these standards on companies and customers within the industry. The regulatory framework from assorted states and what they require for cannabis testing varies enormously, with some requirements having been set by scientists and others determined by politicians and regulators with no scientific training. As an example, the Massachusetts Department of Public Health stipulates that lead levels in cannabis flowers can be no greater than 212 parts per billion, which is so strict that growers will not be able to meet them, essentially eliminating the sale of budding flowers (the part that is smokable) in the state. By contrast, Colorado’s law allows up to 10,000 parts per billion and is considered to be safe, while Nevada comes in at 1,200 ppb as the legal limit. One of the strangest aspects is that while Massachusetts has a stricter standard for lead, they are more lenient than Nevada with respect to arsenic, cadmium, and mercury. Among the biggest discrepancies is in the daily dosage each state is using to determine its standards. In the above example for lead, Massachusetts is basing its safety levels off of someone using 10 ounces of marijuana a day, while Nevada’s standard of 1,200 ppb is based on a much more realistic dosage of 5 grams a day. That is a difference of over 5800% in daily personal usage, not exactly consistent. Many dispensaries have thus far resorted to bypassing these laws by only selling edible products, which contain extracts that can meet practically any standards. Unfortunately, these dispensaries won’t be able to sell flower products until marijuana-testing regulations have evolved to reflect the true risks associated with smoking them. Many experts don’t expect to see any changes in these standards until toxic levels of these substances are better understood. The best solution to the problem would be the development of nationwide standards governing the testing of marijuana and other aspects of recreational or medical legalization. For instance, the U.S. Food and Drug Administration sets many standards governing the safety of pharmaceutical drugs, while the U.S. Department of Agriculture sets standards governing the contaminants found in a variety of commonly grown foods. With the federal government quietly abandoning its enforcement of the prohibition of medical marijuana in states where it has been legalized back in December of 2014, deep within a 1,603-page federal spending measure, many marijuana advocates are hoping that they will step up to the plate and ultimately institute rules governing the production, testing, and sale of marijuana in order to create a more consistent framework throughout all states in the U.S. where the drug has been legalized. A national standard would also help many companies operating within the industry by establishing clear and reasonable requirements. Currently, many dispensaries that have invested tens of thousands of dollars into their business have been patiently waiting on the sidelines for the regulators to approve their ability to sell. The FDA has also issued a number of warnings to cannabinoid manufacturers, despite the lack of federal rules governing the drug. Massachusetts and several other U.S. states implementing marijuana-testing requirements have made it difficult for growers and dispensaries to operate. Without clear standards between states, the situation is unlikely to improve anytime soon, which could limit access to medicine for medical marijuana patients and reduce tax revenue in the form of lower sales of both medical and recreational marijuana in states where it’s approved. A company like DigiPath Inc. is well suited to not only be at the forefront of testing, but also be leaders in helping to create and set nationwide industry testing standards. To learn more about DigiPath Inc. please visit their website at http://www.digipath.com or visit CannabisFN’s profile at http://www.cannabisfn.com/mdc/digipath-inc/. Except for the historical information presented herein, matters discussed in this article contain forward-looking statements that are subject to certain risks and uncertainties that could cause actual results to differ materially from any future results, performance or achievements expressed or implied by such statements. Important factors that could cause these differences include, but are not limited to, the demand for the company’s services and the company’s ability to execute its business plan. Emerging Growth LLC dba TDM Financial, which owns CannabisFN, is not registered with any financial or securities regulatory authority, and does not provide nor claim to provide investment advice or recommendations to readers of this release. Emerging Growth LLC dba TDM Financial, which owns CannabisFN, may from time to time have a position in the securities mentioned herein and may increase or decrease such positions without notice. For making specific investment decisions, readers should seek their own advice. Emerging Growth LLC dba TDM Financial, which owns CannabisFN, has been compensated for its services in the form of cash and equity securities by DigiPath. For full disclosure please visit: http://www.cannabisfn.com/legal-disclaimer/.